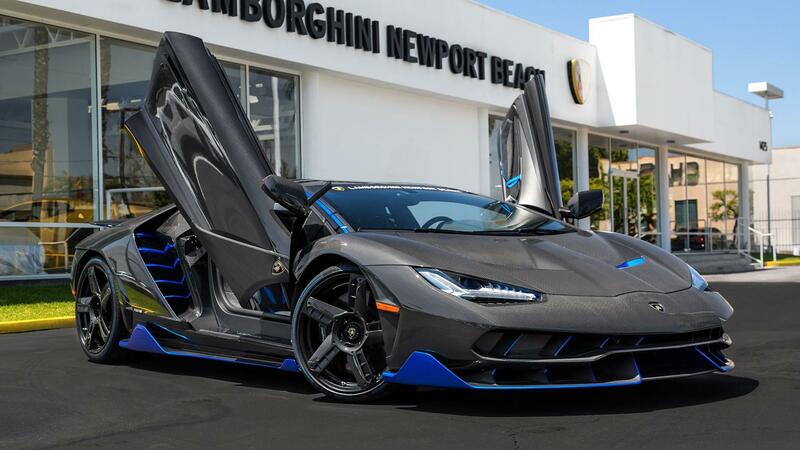 This very special Lamborghini Centenario was unboxed at Lamborghini Newport Beach this week. 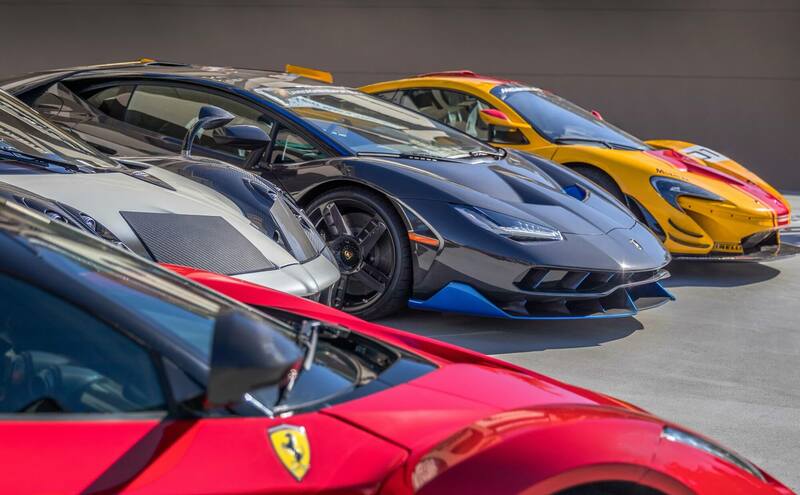 Our man in California Hunter Swift was there to witness the delivery of the first ever Centenario on US soil and bring us these awesome shots. For reference – the car in question belongs to @dan_am_i and is the latest addition to his special garage. 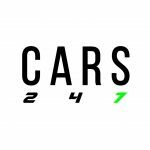 Even hidden amongst a McLaren P1 GTR, a Pagani Huayra and a Ferrari LaFerrari the Lamborghini Centenario seems to stand-out. 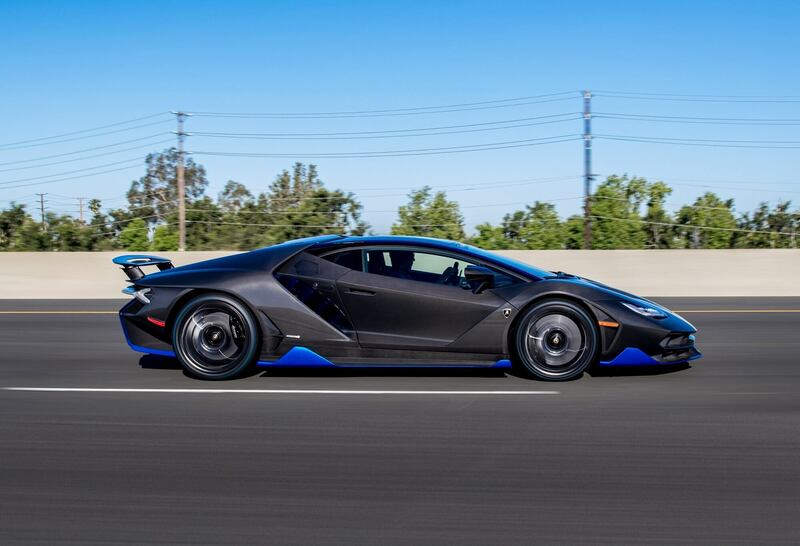 In a $10Million + line up its arguably the Centenario that grabs the attention – It’s jet fighter styling, coupled with the Blue Carbon and crazy angles sets itself apart even in such ridiculously rare exotic company. 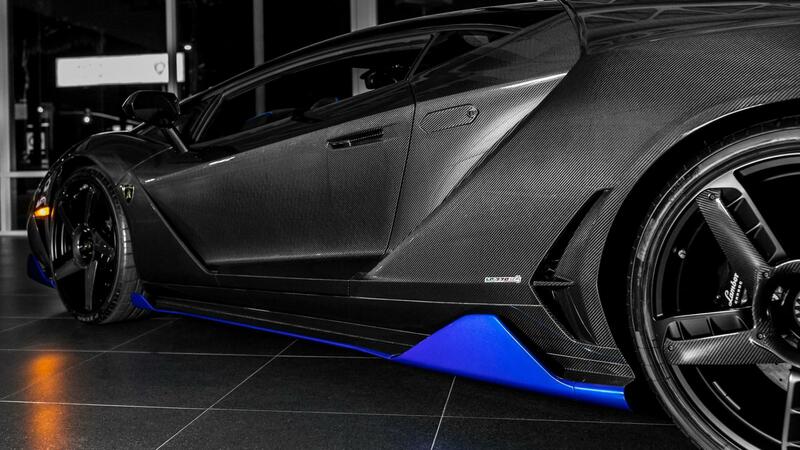 Beneath the Centenario, it’s an Aventador, but one whose V12 engine has been tuned up to 760bhp, enough for a 2.8sec 0-62mph time and 217mph top speed. It’s all carbon styling and wow-factor meant every single Centenario was spoken for before the cars even made their debut. 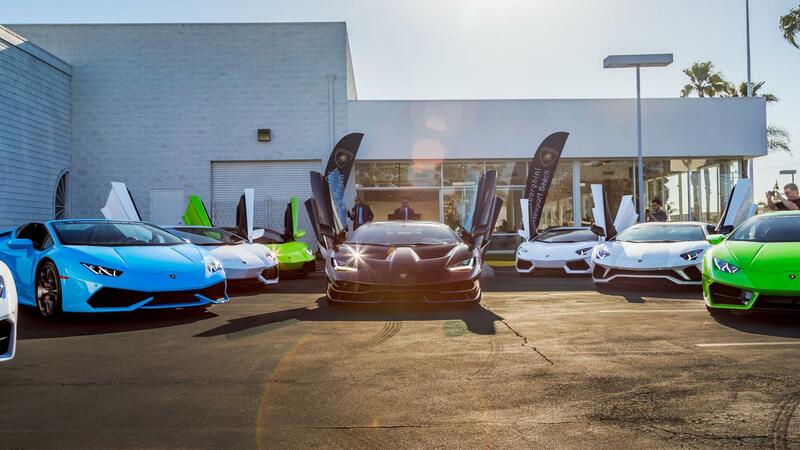 As with most manufacturers of exotica these days, Lamborghini gave dibs to the most loyal Lambo owners. The cost? roughly $2.2Million / £1.7Million ‘standard’ but it is understood Dan put the Lamborghini Ad Personam program to good use which allows “an infinity of possible combinations.” With just 40 examples being produced worldwide it may prove a great investment with rare, limited run supercars providing great returns for those able to get hold of one. Despite the futuristic look, it is history that adds to the draw of this car. 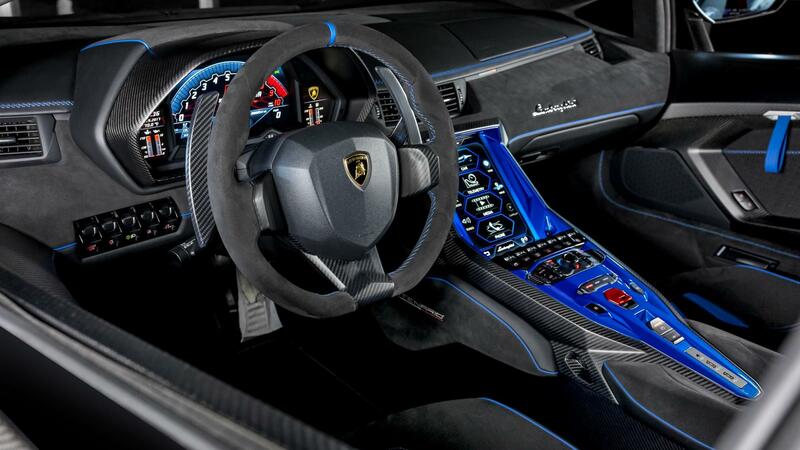 The Lamborghini Centenario was built to celebrate the birth of Lambo’s founder Ferruccio Lamborghini. He would have been 100 when the Centenario launched – and if that is not an excuse to build something awesome – nothing is.